The food that we eat matters and eating right will keep us living, feeling, and yes, looking good! It’s the subtle difference between shiny, healthy hair and hair that is dry and dull, or between skin with a natural glow, and skin that is pale. Sometimes it’s just a feeling you get when you look at someone and they look beautiful, because they look healthy. While everyone is different, fortunately there are a few basic guidelines to follow when it comes to picking the right food to eat or apply for your hair and skin. Read on as we pick 3 food for achieving clear, soft, supple, glowing skin and give you the ins and outs of exactly why we picked them. Almonds are packed with essential fatty acids, fibres and protein. They are rich in Vitamin E and other vitamins and minerals such as zinc and potassium. It has pro-biotic properties that help maintain a healthy digestive system. It improves your haemoglobin and promotes blood circulation. Snack on a handful of almonds daily. 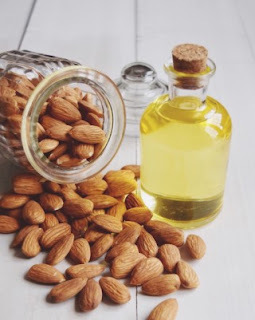 Almond oil when applied warm is helpful in treating dandruff and hair loss. It is often applied to dried and washed hair to add a significant sheen plus a protective layer to it, making your hair more manageable and tangle free. Soak almonds for 6-8 hours in water or milk then crush it into a fine paste. Scrub this paste on the skin for 5-10 minutes gently. This will remove dead skin and dirt off your face leaving a radiant and glowing skin. Ever seen shampoos or facial masks using avocados? There’s a reason for that. Avocados contain good amounts of vitamins A, D and E and omega-9 fatty acids ‘one of the building blocks of healthy skin ‘ which is highly concentrated in the oil not only helps lower bad cholesterol levels, but also reduce the appearance of aging in skin. 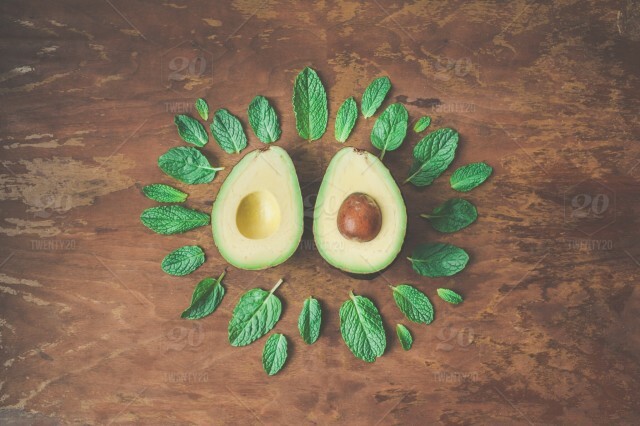 Avocados also contain antioxidants, fiber, potassium, magnesium, and folate. All of these nutrients help to even out skin tone over time when added to your diet regularly. Avocados are the most definitely on the priority “get gorgeous” food list. 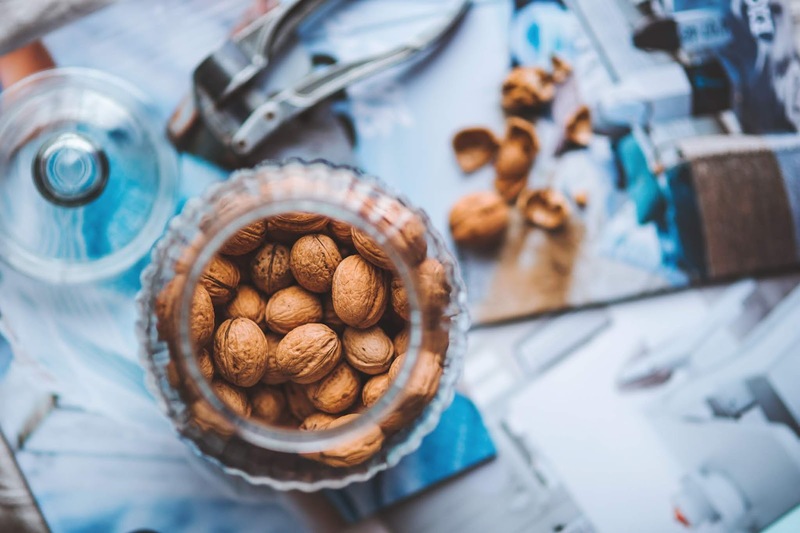 Walnuts are a good source of potassium, omega-3, omega-6, and omega-9 fatty acids. Regular application of walnut oil keeps the scalp moisturized and hydrated, thus keeping medical conditions such as dermatitis at bay. They also protect your hair from sun damage and keep it lustrous. All these ingredients strengthen the hair follicles leaving it healthier with glowing hair. Walnut benefits in fighting the free radical induced due to stress. Walnuts are good for the skin as they are packed with vitamin B. Vitamin B is an excellent stress and mood manager. The presence of the vitamin B together with Vitamin E, act as a natural antioxidant. Oil extracted from the walnuts is known to ease puffiness and relax eyes, retaining its glow and colour. The regular application of warm walnut oil is known to lighten the dark circles. These are our top three ingredients for glowing skin and healthy hair. Let us know if these work for you or if you follow something else.